Introducing Digital Atelier: a painterly brush preset pack by Ramon Miranda with tutorial videos! Over the past months, Ramon Miranda, known for his wonderful introduction to digital painting, Muses, has worked on creating a complete new brush preset bundle: Digital Atelier. 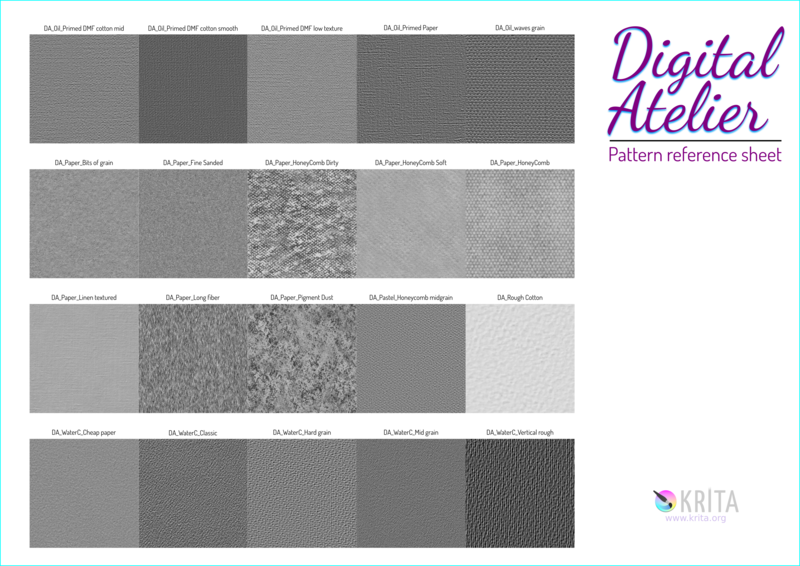 Not only does this contain over fifty new brush presets, more than thirty new brush tips and twenty patterns and surfaces. There is almost two hours of in-depth video tutorial, working you through the process of creating new brush presets. The complete download is 8 gigabytes! On Saturday, Krita’s 2018 Squash the Bugs fundraiser will start. Anyone who supports Krita with €50 or more will get a free download! 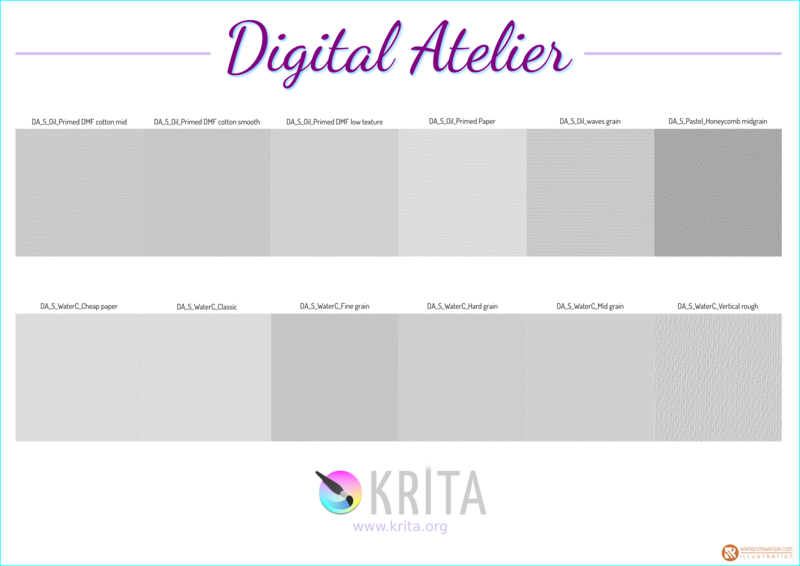 On October 16th, we’ll put Digital Atelier in the Krita shop for €39.95. Fifty-one new brush presets — check out the reference sheet! Twenty-four oil paint brush presets, of which four are very experimental. Thirty-four new PNG and five new SVG brush tips. Twenty 512×512 paper surfaces and patterns. Creating your own Brush tips. The music is by Kevin MacLeod. The language used in the videos is English.